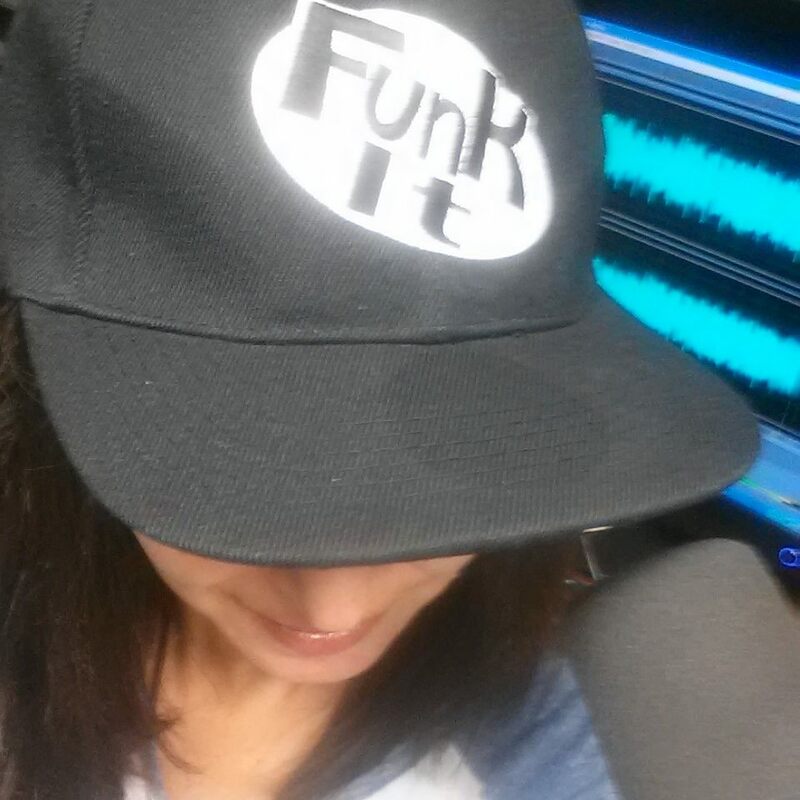 If you missed Amie on today's show, listen here! 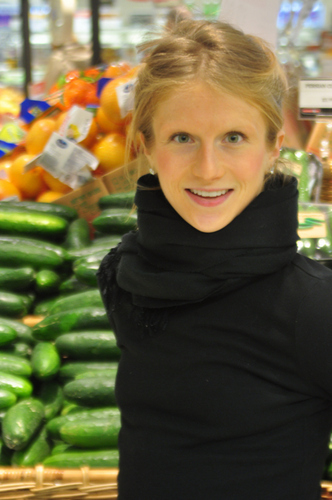 Amie is a Culinary Nutritionist and Health & Food Coach with certifications from the Institute of Integrative Nutrition and SUNY Purchase. Amie is also certified by the Drugless Practitioners of America. 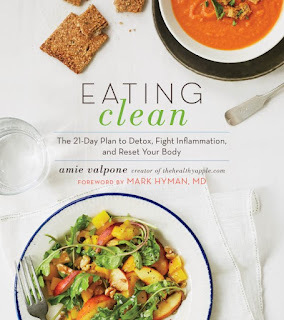 I’m Amie Valpone – HHC, AADP, a Culinary Nutritionist, Professional Recipe Developer, Food Photographer, Celebrity Chef and Writer specializing in simple ‘Clean Eating’ recipes. I have continuing education certifications from the Institute of Integrative Nutrition and Columbia University as well as the Drugless Practitioners of America. My new cookbook, Eating Clean: The 21-Day Plan to Detox, Fight Inflammation, and Reset Your Body is on sale now. After healing myself through a set of life-changing diagnoses early in my professional career, I was forced to change the way I live, eat and ultimately the way I make a living. Today my sole desire is to help you and your body feel as amazing as possible through various simple yet life-altering changes to your nutrition and lifestyle habits. I started The Healthy Apple after suffering with digestive issues for years and healed myself from a decade of chronic pain that changed my life for the better. After years of being told nothing was wrong with me (after seeing over 500 doctors), through the help of Integrative/Functional Medical Doctors, I learned that I was suffering from heavy metal accumulation, hypothyroidism, adrenal fatigue, PCOS (polycystic ovarian syndrome), chronic fatigue, an IGA deficiency and was born without the gene, MTHFR which is key in detoxification.After 10 years of medical mysteries, I was diagnosed with Lyme Disease. I learned that my body couldn’t digest gluten, soy, sugar and many other foods. I began to realize quickly that medicine could only do so much – it wasn’t offering my body what it needed to heal. I needed to overhaul my lifestyle. Through research and the help of Integrative M.D’s, I decided to adopt an organic, ‘Clean’ lifestyle. Using methods such as acupuncture, yoga, meditation, herbal medicine, and organic, fresh, unprocessed foods, I’ve restored and replenished my body and have remained symptom free ever since. I’ve had mercury fillings removed from my mouth, went through two years of IV chelation, and detoxed everything from my makeup to my cleaning products. My diet now consists of 100% organic lean proteins, health fats, and lots of fresh veggies. The past few years have helped me understand that there is something to learn from every doctor and every life experience. Today, I still work with an Integrative M.D. to continue to heal and I feel great. I am constantly researching, traveling and interviewing other Integrative and Functional Medicine Doctors to help me and my clients feel their absolute best. I understand how difficult it can be to create a healthy and clean lifestyle for ourselves. I understand how hard it may seem to find the time in our hectic lives to make home cooked, nutritious meals. But I am here to show you how easy it can be! I do not believe in diets – I believe in moderation. I have always and will always love food. My nutrition and lifestyle tips along with my recipes cater to a Clean, Dairy-Free, Soy-Free and Gluten-Free lifestyle – a lifestyle that understands that what we put into our mouths will impact our bodies now and in the future, yet one that does not ever sacrifice in taste or enjoyment. My passion for a healthy nutrition and a clean lifestyle is contagious. I am eager to show others that fresh, whole foods and non-toxic products(such as cleaning products and personal care products) can keep your taste buds and your body happy and healthy. We each know our bodies better than anyone else does – any doctor, any prescription, any diagnosis. It takes time, patience, and a positive attitude to keep your head up and stay strong until you find all the answers to your body’s wants and needs. For some it can be a long, long road to find that balance – but there is always a shiny, bright light at the end of the tunnel. Let me help you find that light. Before starting The Healthy Apple, I had previously held numerous occupations, including ones with Ralph Lauren Corporate and VOGUE Magazine in branding and marketing, and with the NBA Fit Program as a Culinary Nutritionist. In 2011, I decided to leave the corporate world of marketing and advertising to focus on my newfound passion of helping actual people adopt a healthy and clean lifestyle. I work hands-on with individuals and groups as a Personal Chef, Food Allergy Concierge and Healthy Family Pantry Stylist to guide people through their transition into a healthier lifestyle. I realized the things that were helping people 10 years ago when I moved to Manhattan were no longer helping them (therapy, prescription drugs, over the counter drugs, etc. )-those things simply weren’t cutting it for my clients who seek relief from the daily stressors of life. They were reaching for something more; they wanted to feel amazing every single day. Many of my clients work in high-stress jobs or are suffering from unexplained health issues and span everywhere from TV news anchors to celebrities, media executives, musicians, actors and actresses. Additionally, I develop fresh, wholesome recipes with beautiful photography, make media appearances, and engage consumer groups on behalf of food companies. I’m active in many organizations that focus on food, nutrition, and health. In addition to my work in Culinary Nutrition under The Healthy Apple, I am also a Food Media Expert with experience in creating menus, developing marketing and PR efforts, and building brand awareness for my clients. I serve as a brand ambassador for many well-known healthy living companies by attending conferences and food expos across the nation on their behalf. I am available for editorial and photography projects, recipe development, speaking engagements, spokesperson opportunities, events, workshops, lectures, videos and conferences as well as ambassador programs. If you are in Manhattan, give me a ring and let’s meet for a tea or green juice! If you are interested in attending the Institute for Integrative Nutrition, please contact me. I would be more than happy to refer you to IIN and speak with you about my experience. Use my name, Amie Valpone as a referral to find out about tuition discounts and incentives. In addition to The Healthy Apple, my insights and advice appear in Marie Claire, Prevention Magazine, SELF Magazine, Glamour Magazine, FoxNews.com, The Food Network Blog, The Food Network website, The Huffington Post, SHAPE Magazine, Martha Stewart Whole Living, Martha Stewart Radio, Clean Eating Magazine, Kiwi Magazine, The Doctors, YahooShine!, Rodale Institute, WebMD, The Daily Meal, The Examiner, Bing.com and Mind Body Green. 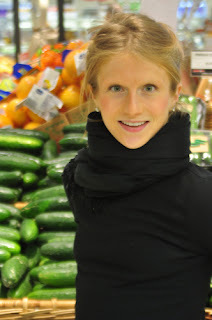 Connect with me, Amie Valpone, on Twitter (@TheHealthyApple), Facebook (The Healthy Apple), Instagram (@TheHealthyApple), Google Plus (Amie Valpone) and Pinterest (The Healthy Apple). For more information,visit: Institute for Integrative Nutrition. For additional inquiries or to schedule a private appointment, please contact Amie via email at Press@TheHealthyApple.com.